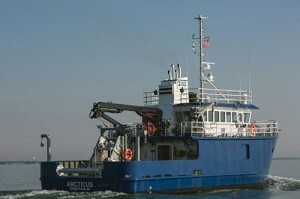 The RV Arcticus is a state-of-the-art, steel monohull vessel capable of year-round oceanographic research and fisheries assessment on the Great Lakes. 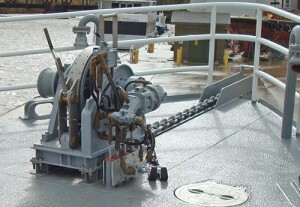 Its builder, Burger Boat Company, contracted with Hawboldt to supply the vessels deck gear including a 4-ton trawl winch, a windlass for ¬æ‚Äù chain, CTD winch and sheave along with a dual net drum. The US Geological Survey required the boat to conduct lake-wide bottom trawl surveys, acoustic surveys, gill net surveys and a variety of over-the-side science operations in all seasons. 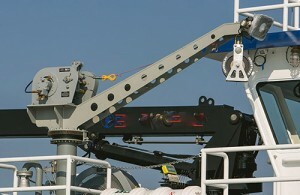 With limited space available for operations, deck equipment needed to be robust but compact enough to meet the mission profiles. Hawboldt provided timely and expert assistance to the boats architects to ensure that the deck equipment would satisfy the mission profile within the design envelope. Hawboldt carried this through to the build stage ensuring the equipment designed and manufactured could withstand the harsh conditions of summer squalls and winter storms.